FRIDAY, Feb. 22, 2019 -- U.S. opioid overdose deaths have quadrupled in the last two decades, and the highest rates are now seen in eight Eastern states, a new study shows. Those states are: Connecticut, Illinois, Indiana, Massachusetts, Maryland, Maine, New Hampshire and Ohio. The researchers also found that the death rate from opioids has increased the fastest in the District of Columbia, more than tripling every year since 2013, and that opioid death rates in Florida and Pennsylvania were doubling every two years. "Although opioid-related mortality has been stereotyped as a rural, low-income phenomenon concentrated among Appalachian or Midwestern states, it has spread rapidly, particularly among the Eastern states," the researchers wrote. 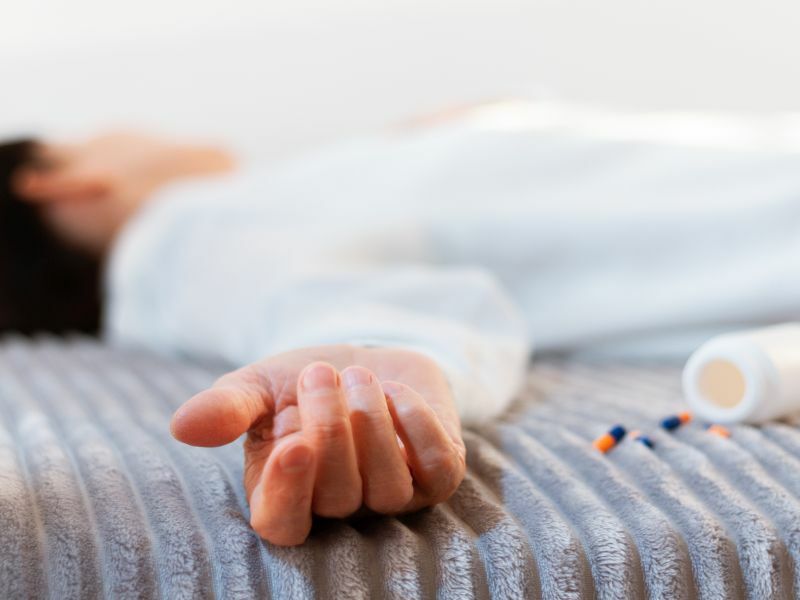 The analysis of data from the U.S. Census and the National Center for Health Statistics suggests that the opioid overdose epidemic has evolved as three waves. The first wave, from the 1990s until about 2010, was associated with prescription opioid painkillers (such as OxyContin). The second wave, from 2010 until recently, was associated with a large increase in heroin-related deaths. The third and current wave, which began around 2013, involves a rapid increase in deaths associated with synthetic opioids, such as tramadol (Ultram) and fentanyl. It's likely that synthetic opioids have also contaminated the production process of illegal drugs, such as cocaine and methamphetamines, and is no longer limited to heroin, said study author Mathew Kiang, a postdoctoral scholar at Stanford University. "People aren't aware their drugs are laced and more potent than they expected, putting them at higher risk of overdose," Kiang explained in a university news release. The researchers also found that opioid overdose deaths are occurring in a wider range of people, and there have been significant increases in opioid overdose deaths among black Americans. The 26 percent increase in opioid overdose deaths among blacks between 2016 and 2017 is the largest increase among any racial group, according to the U.S. Centers for Disease Control and Prevention. The new study was published online Feb. 22 in JAMA Network Open. "The identification and characterization of opioid 'hot spots' -- in terms of both high mortality rates and increasing trends in mortality -- may allow for better-targeted policies that address the current state of the epidemic and the needs of the population," Kiang and his colleagues reported. The study authors noted that states are trying to tackle the opioid crisis through policies such as restricting the supply of prescription opioid painkillers and expanding treatment and access to the opioid overdose-reversing drug naloxone (Narcan). "Treating opioid use disorder should be our top priority to curb the problem," Kiang said. "Similarly, we have the ability to counteract the effects of an overdose. These lifesaving drugs should be easily accessible and widely available." The U.S. National Institute on Drug Abuse has more about the opioid overdose crisis.